But just how much profit-potential does a transaction need to offer in order to ensure its legitimacy as a valid tax shelter? The Second Circuit’s September 21, 2016 decision in United States v. Daugerdas, No. 14-2437-cr (Walker, J., joined by Judges Kearse and Cabranes) affords no bright-line rule, but it makes clear that a transaction must offer something more economically substantial than an “extremely low” profit potential to avoid classification as an illegal tax shelter. Defendant Paul Daugerdas was a CPA and (recently disbarred) tax attorney who worked at the Jenkens & Gilchrist law firm from 1999 to 2004. Daugerdas had developed and sold tax shelters since the early 1990s. By design, his tax shelters gave clients a very low chance of actually earning profits on their investments, and the vast majority of Daugerdas’ clients lost money from their investments. On top of that, any profit potential was eliminated once tax advisory fees charged by Jenkens & Gilchrist and others were offset against the clients’ returns. Daugerdas nevertheless arranged for “more-likely-than-not” opinions letters to be issued to his clients; each letter stated that the client was aware of the underlying transactions that supported the shelter and that the clients were entering into the shelter for non-tax business reasons. Also during his time at Jenkens & Gilchrist, Daugerdas or others working for him participated in backdating transactions that had been undertaken incorrectly on behalf of certain clients. For example, after realizing they had implemented a transaction that yielded capital losses for a client that had sought to generate ordinary losses, Jenkens & Gilchrist attorneys reversed the transaction, implemented a transaction that generated the requested ordinary losses, and backdated the corrected transaction to the time frame when the incorrect transaction occurred. The case against Daugerdas took a tortuous path through the U.S. District Court for the Southern District of New York (Pauley, J.) over the course of four years. Daugerdas and others who worked with him on the tax shelters were indicted in 2009 on charges of conspiracy, tax evasion, obstructing the IRS, and mail fraud; Daugerdas was convicted at trial on all counts. The district court, however, granted a new trial to Daugerdas based on juror misconduct. In 2013, Daugerdas was indicted on counts similar to those in his 2009 indictment. A jury convicted him of one or more counts of conspiracy to defraud the IRS, client tax evasion, IRS obstruction, and mail fraud, but acquitted him of six counts of client tax evasion and three counts of personal tax evasion. He was sentenced to 180 months’ imprisonment and ordered to pay more than $500,000 in forfeiture and restitution. On appeal, Daugerdas argued that the evidence was insufficient to support his various convictions. 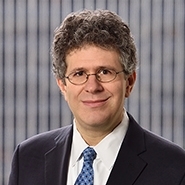 With respect his tax evasion, mail fraud, and obstruction convictions, Daugerdas asserted the Government failed to establish that he had the requisite mens rea to design and sell tax shelters that violated the “economic substance” rule – i.e., the judge-made doctrine that transactions that have “no purpose, substance, or utility apart from their anticipated tax consequences” cannot serve as a basis for claiming losses to the IRS. The panel disagreed. It concluded that Daugerdas knew the economic substance rule – as shown by evidence that he counseled his clients about the rule – and that he knew the tax shelters lacked economic substance. In considering whether the transactions were known to lack economic substance, the court considered both whether Daugerdas’ clients had an objectively reasonable expectation of profits (independent of any tax benefits) and whether the clients subjectively believed the transactions had a non-tax business purpose. There was no objectively reasonable expectation of profit, the panel held, irrespective of the “legal ambiguity” as to whether tax advisory fees should be included as part of the calculus. Even if the fees were disregarded, the possibility of any client earning a profit “was still extremely low,” and Daugerdas’ advice to clients reflected his awareness of that likelihood. Similarly, Daugerdas’ knowledge of the low profit potential of the transactions could support the conclusion that Daugerdas knew his clients did not have a subjective non-tax business purpose in participating in the shelters. The panel also held that the testimonial evidence presented at trial was sufficient to support Daugerdas’ mail fraud claim predicated on the backdating scheme. Turning to Daugerdas’ next argument, the panel rejected the contention that the prosecution’s rebuttal summation and the court’s supplemental instructions had “constructively amended” the indictment – “a per se violation of the Fifth Amendment” – to include a theory of criminal liability based on Daugerdas’ violation, through backdating, of the IRS’s Annual Accounting Rule. (The Rule generally requires a transaction’s tax consequences to be assessed in the year in which the transaction occurs.) The panel found that the backdating scheme was discussed repeatedly in the indictment, and the fact that backdating was presented at trial as an alternate theory of liability to, or evidence of, the economic substance theory “did not change ‘the essence of the crime, in general terms’” – i.e., “a massive tax fraud orchestrated by Daugerdas.” Neither was the count in the indictment alleging obstruction of the IRS “duplicitous” (i.e., inclusive of multiple crimes in a single count) merely because Daugerdas’ crime subsumed both work he did for clients and his own use of tax shelters. The panel then rejected Daugerdas’ various due process challenges to his conviction: (1) it was not unduly prejudicial for the district court to permit the Government to introduce evidence that a trial witness had pleaded guilty to unrelated tax crimes after Daugerdas had elicited from the witness – a tax attorney unaffiliated with Daugerdas, who advised one of Daugerdas’ clients – that he had concluded the tax shelter was legal; (2) the prosecution’s statements in its summation about Daugerdas’ lack of evidence – i.e., that the defense had not induced evidence that it had convinced anyone at the IRS of the legitimacy of the shelters and that Daugerdas did not seek legal opinions or attempt litigate the validity of the shelters – did not constitute impermissible commentary on Daugerdas’ failure to testify; and (3) the district court’s supplemental instructions in response to a jury notes properly clarified that the Annual Accounting Rule does not categorically apply to every transaction and did not need to re-charge the jury on the good-faith defense. Finally, the panel affirmed both the procedural and substantive reasonableness of Daugerdas’ sentence and the propriety of the forfeiture order. In a coda, the panel specially called out Judge Pauley “to express our appreciation for the commendable way [he] handled this litigation.” The panel offered this generous praise even though last year the Court reversed another decision by Judge Pauley in this same litigation based on errors of fact and law. See United States v. Parse, 789 F.3d 83, 112 (2d Cir. 2015) (“We conclude that to the extent the district court found that Parse's attorneys knew Conrad had lied, that finding is not supported by the record; and to the extent that the court ruled that Parse's right was waived because his attorneys failed to exercise due diligence to learn the facts, that ruling was based on an error of law.”). Practitioners should note the panel’s disdain for Daugerdas’ naked attempts to secure tax relief for his clients apart from any legitimate business purpose. Tax attorneys and investment advisors must ensure that client investments made in substantial part for tax purposes also stand a not-insignificant chance of yielding financial reward. If this was not clear to tax professionals prior to 2005, the tax shelter cases prosecuted in the Southern District of New York against former employees of KPMG, Jenkens & Gilchrest, and other law firms and accounting firms have made it crystal clear. While many of the charged defendants were acquitted or saw their cases dismissed based on a finding that the government wrongfully deprived certain defendants of counsel of their choice, many were convicted and—like Daugerdas—sentenced to lengthy terms of imprisonment.